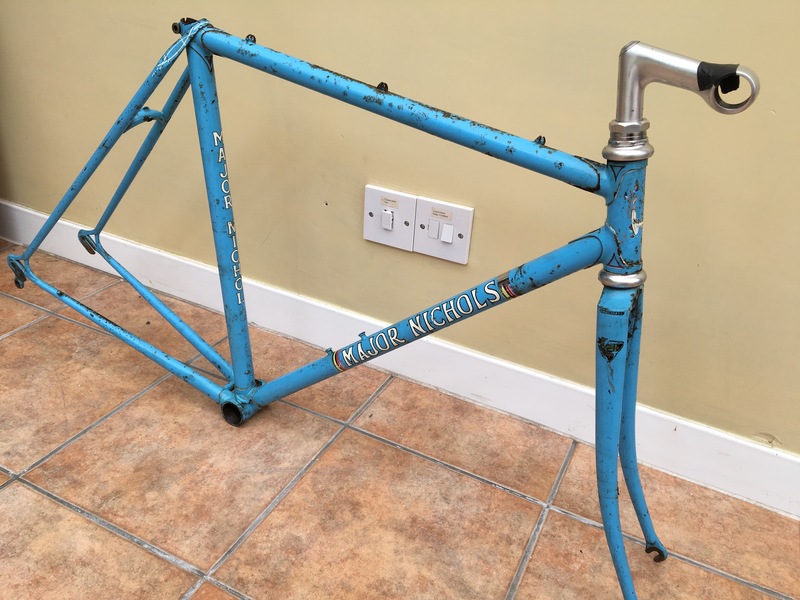 A particularly desirable small RRS from the late 70’s with an interesting range of component parts following the RRS pattern of the time, a curved seatstay bridge and straight chainstay bridge close to the BB. Almost every frame is different and this is no exception. Reynolds 531 DB tubing on what on the face of it look like Prugnat S4 lugs all round but on a closer look could include Haydon Royal Sovereign Lugs with a slightly different cut out than the Prugnats. 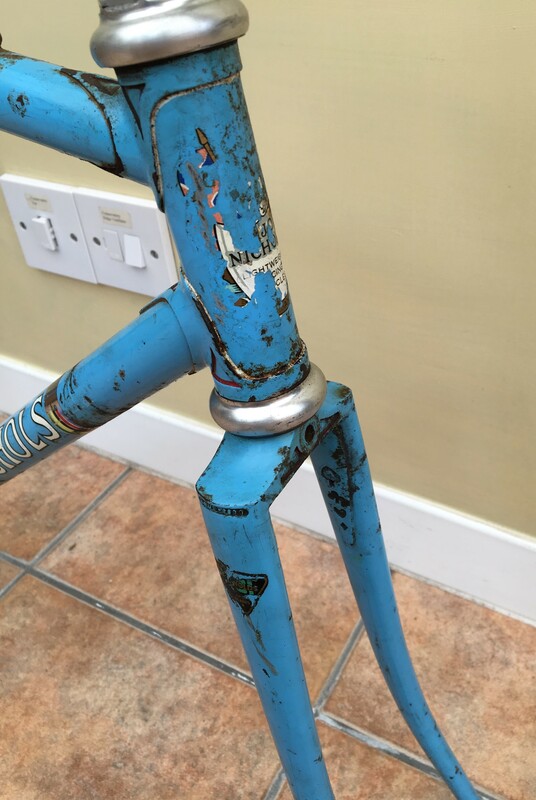 These were found at this date on Raleigh MK 5 professionals and were very fashionable. Of course a few strokes of a file on the Prugnats could reproduce these! There is an Allen Key seat pillar clamp bolt. A full wrapover seat stay with white double fishtail motif, curved reinforced seat stay bridge and a straight seatstay. 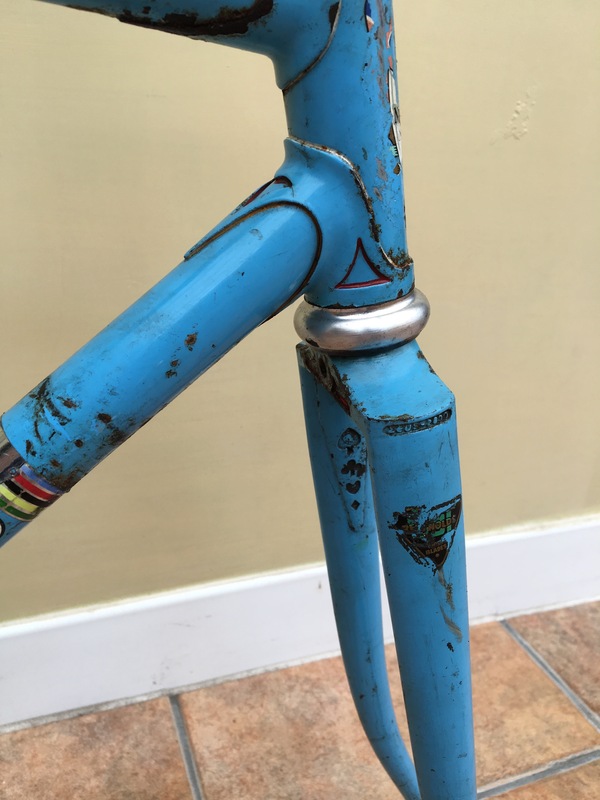 The typical sickle shaped RRS forks have the desirable semi sloping Zeus 200 fork crown, the dropouts are probably Campagnolo (but just might be Zeus Competition). The most individual elements of the frame are the card suits, club, spade , heart and diamond pierced spearpoint strengtheners to the inside face. 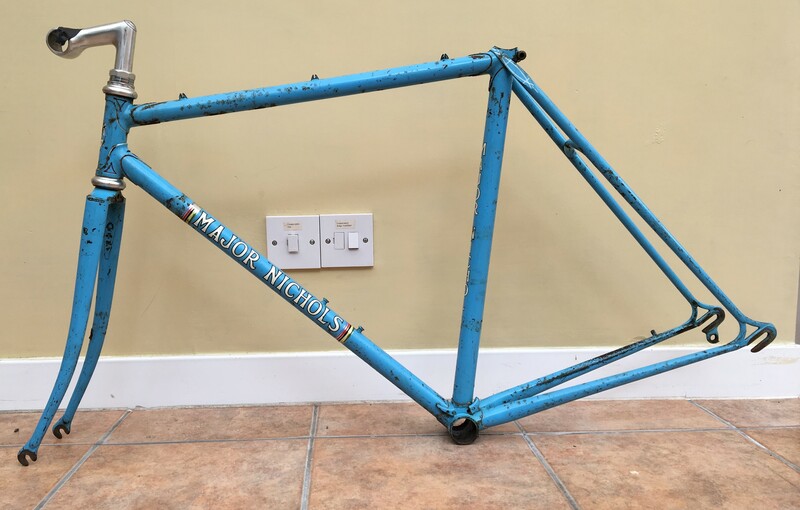 The first I can remember on an MN frame. 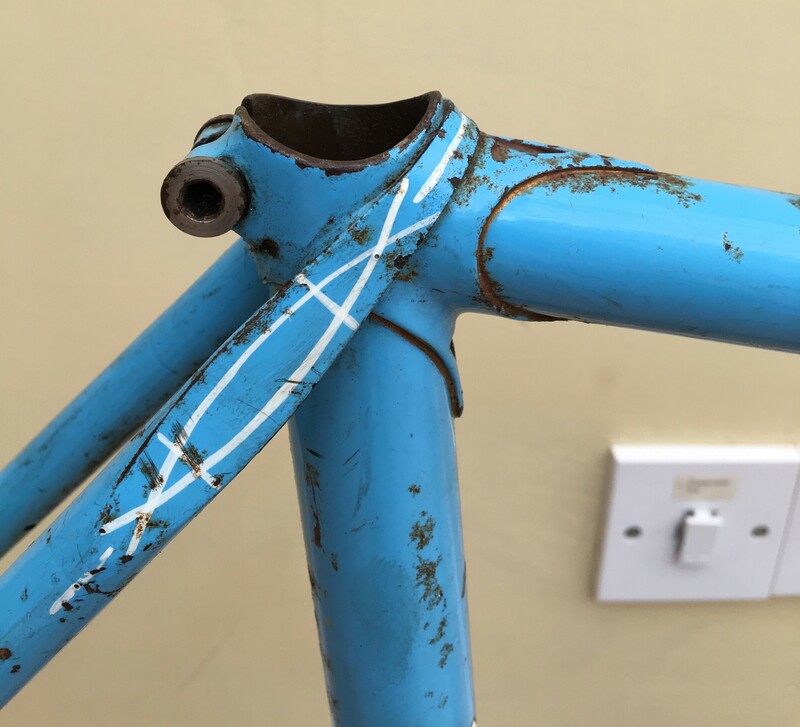 There are a pair of down tube bottle cage bosses, front derailleur guide and cable stop, front derailleur guide of an unusual pattern and top tube rear brake cable guides. A single colour, a light powder blue enamel. The down tube has white, black edged gothic script name transfers which are are panelled in by World Champion bands. 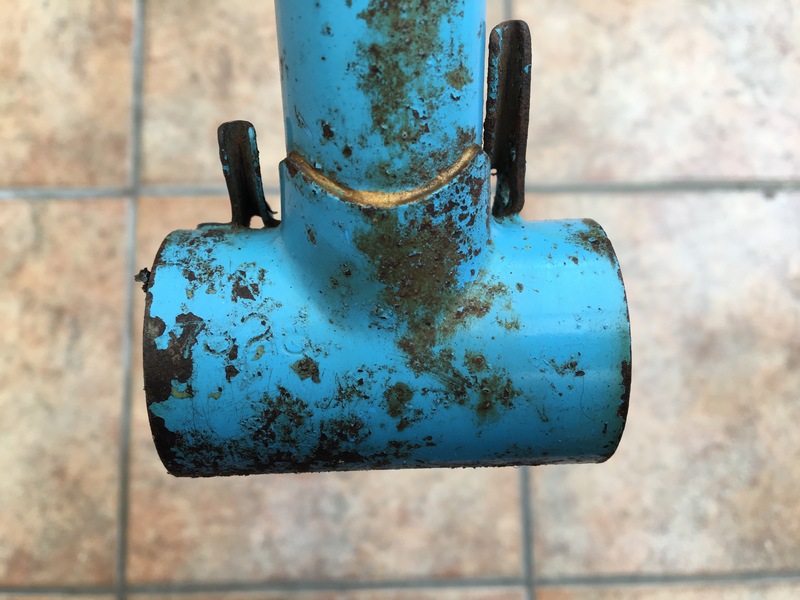 There are a set of the same name transfers in vertical format on the front of the seat tube and a single Durban Road flags and shield head transfer on the front tube panel. 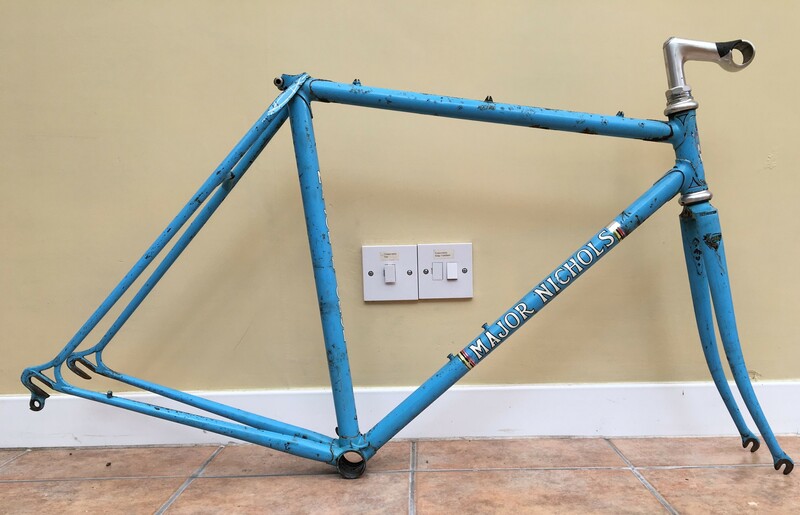 There is of course the inevitable spanner in the works- The Reynolds transfers are pre 1973 but don’t let that fool you! 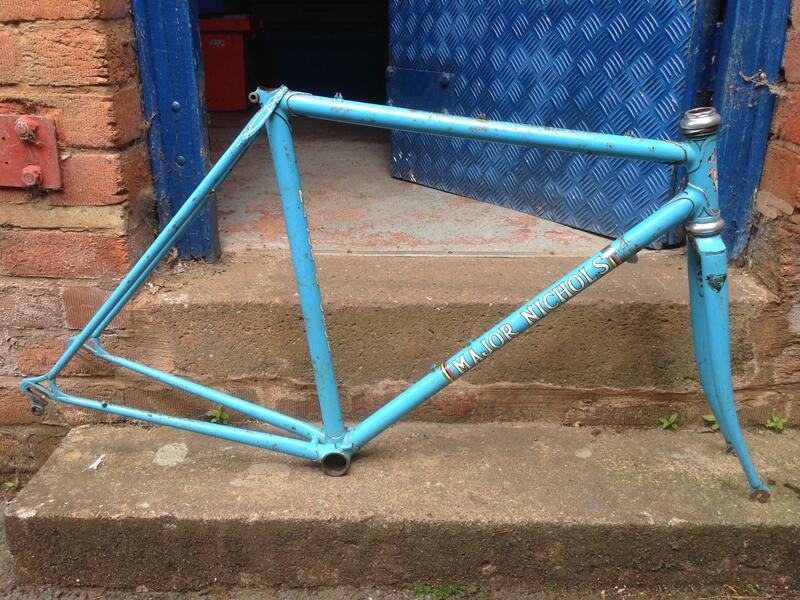 All in all a rather special little frame sourced through Doug Pinkerton. Credit too for the snap on his workshop’s front step!